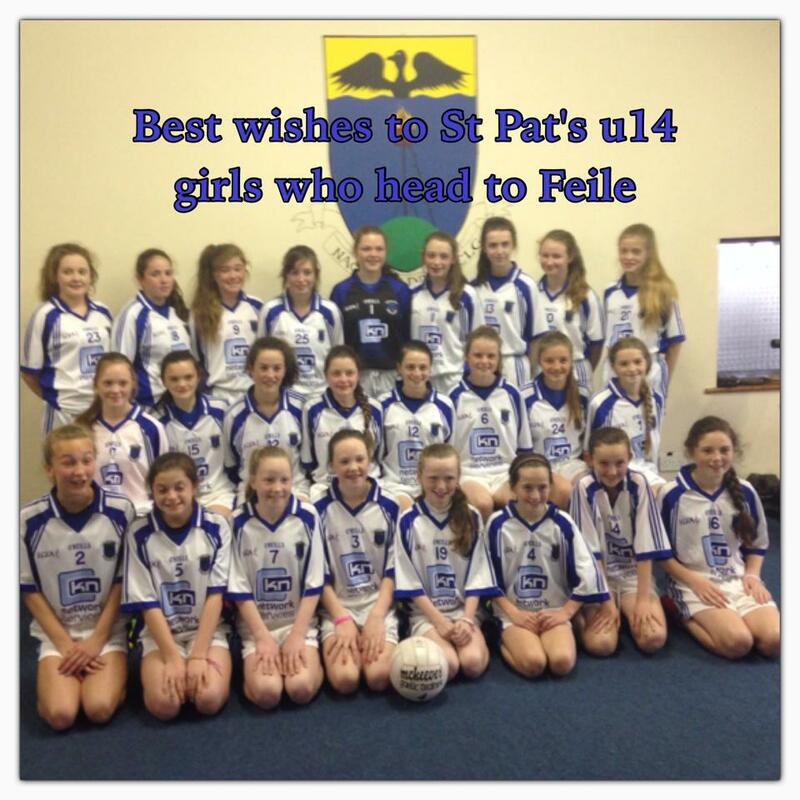 St Patrick’s u14 ladies are off to Connacht to represent Wicklow in this year’s Feile competition. The format is different with no parade on the Friday, the girls will play both Roscommon Gaels and New York in Kiltoom, Co Roscommon which is home to the famous St Brigid’s club. They will then play the host club Glenamaddy/Williamstown on the Saturday morning and travel back to Kiltoom in the afternoon for the quarter finals. Depending on results the team could find themselves making their way to Connacht centre of Excellence in Co Mayo for the finals. We like to wish the management and team our best wishes for the weekend.